Journey of life and a loving life partner can make life wonderful, enjoyable and worth living every minute. Having a steady and loving relationship can mark many aspects in your life. 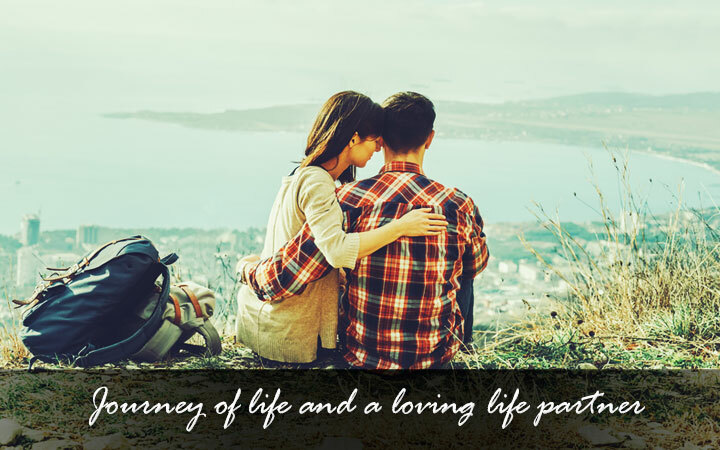 From having the trust that your partner will be with you through thick or thin to your emotional and physical well-being, your journey of life with a loving life partner can make all the difference. Whether you register at an online matrimonial portal or fall in love and plan to marry, your life is incomplete without the support of someone to lean on, trust and befriend. Your joys double and happiness increases when you can share it with someone you love. However, all relationships require hard work and mutual understanding. If you thought romantic relationships turn out to be perfect, you are far from reality. Dealing with each other’s idiosyncrasies requires acceptance and patience that stems from the need to be together. Walking out from a relationship is comparatively easier than being in it and sorting through issues together. You need lot of compromises, sacrifices and acceptance to build a strong foundation for a relationship. However, if you have had bad relationship experiences in the past is no reason to lose trust in love because love finds a way when you least expect it. However, to nurture a relationship you need to invest time and energy into it. And that has to be mutual. Just one of the partners doing it all will not be able to sustain the relationship. Strong communication, constant support and spending time together are important. It is important for your partner and you to be genuinely interested in each other’s well-being. Expressing your opinions, fears, feelings and sharing thoughts without a fear of being snubbed or rejected, makes for a beautiful journey of life with your life partner.